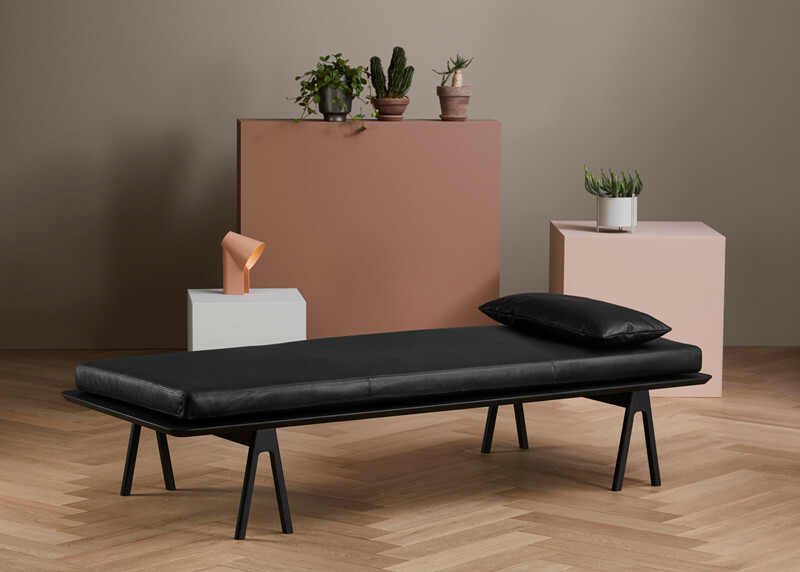 The Level daybed from WOUD uses the iconic form of sawhorses in the simplest arrangement possible: A sheet laid across a pair topped with a rectilinear mattress. 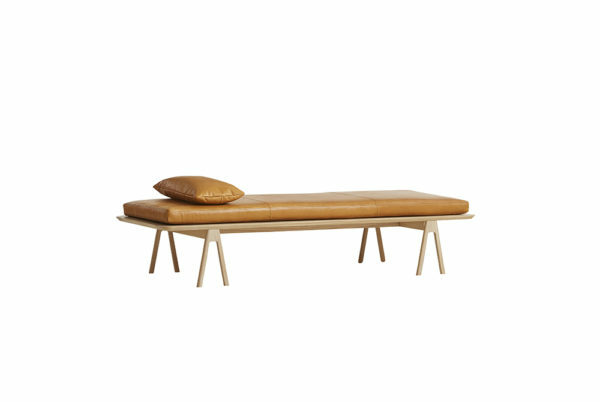 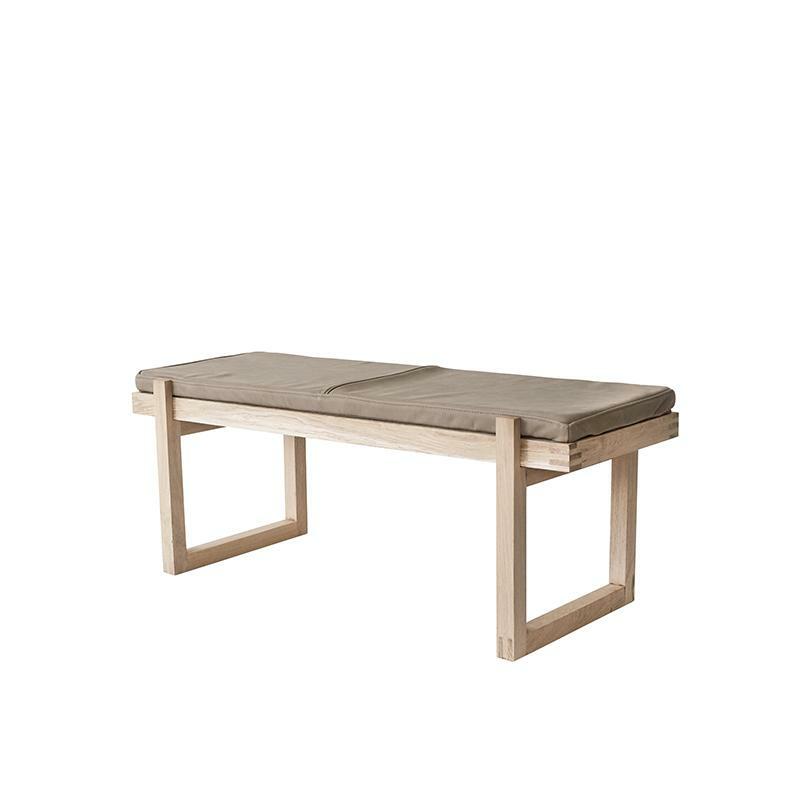 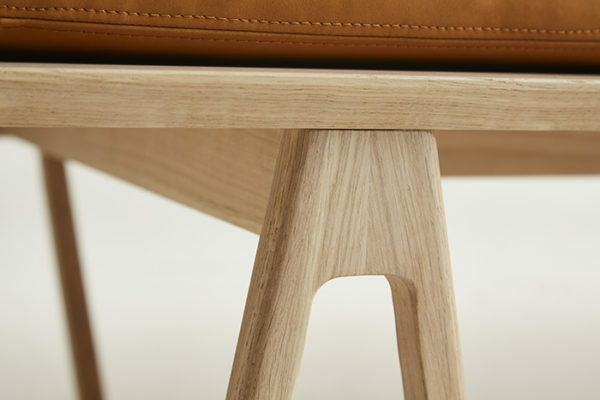 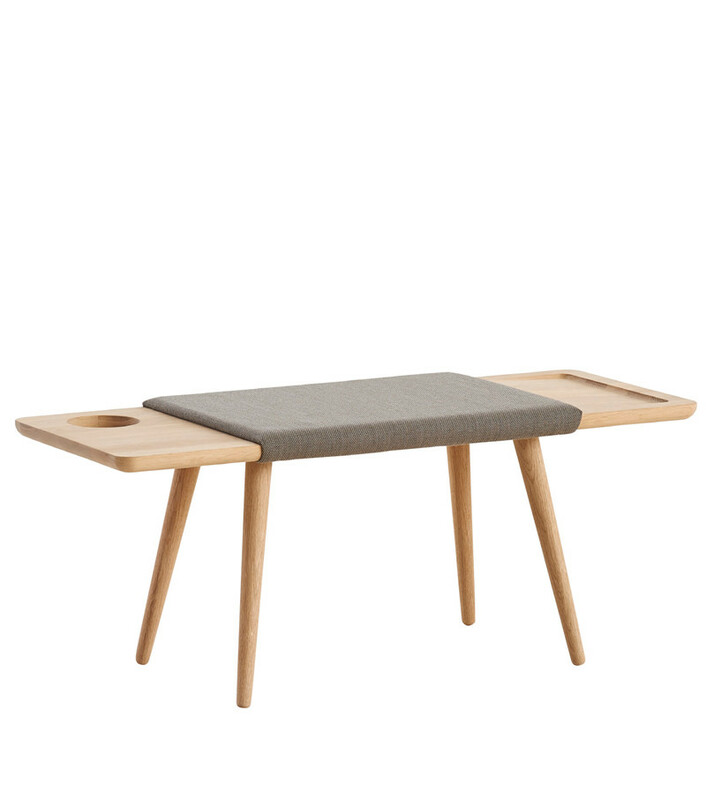 The supple leather and the sturdy wood components elevate the simple whole. 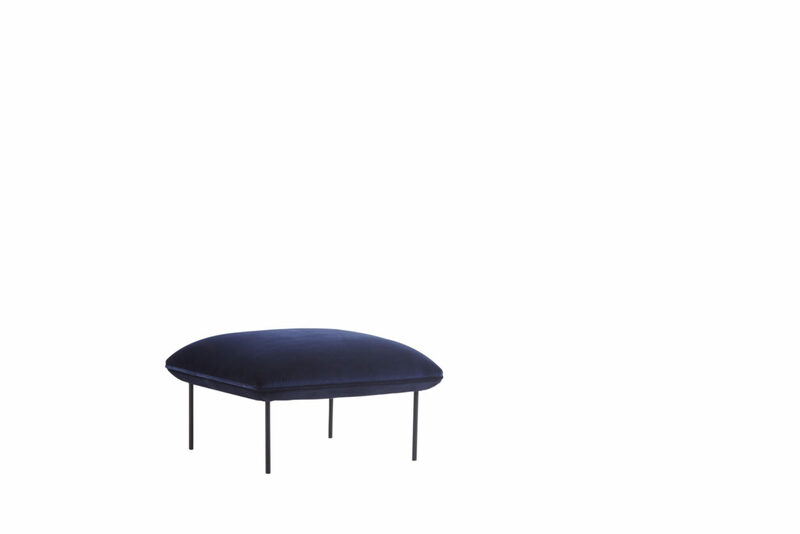 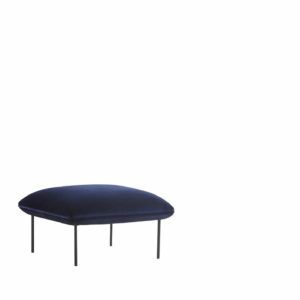 The daybed takes its name, Level, from a symmetry between the domestic and work environment; a generally sought-after condition. It is possible to add a leather pillow to the mattress at an extra cost. Option Pillow – Pillow Cost $495. 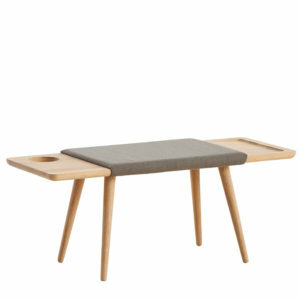 Send enquiries to hello@flocstudio.com.au to confirm frame and leather colour.